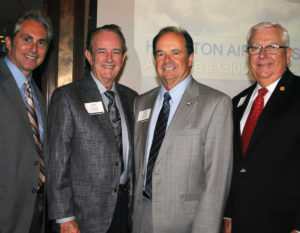 Pasadena City Councilman Jeff Wagner and Mayor Johnny Isbell, from left, arrive at the Bay Area Houston Economic Partnership luncheon at Lakewood Yacht Club in Seabrook, along with La Porte Mayor Louis Rigby and Port Commissioner John Kennedy of Nassau Bay to hear Houston Airport System Director Mario Diaz. HOUSTON AIRPORT Systems Director Mario Diaz is “clearly the best” at what he does, Bay Area Houston Economic Partnership officials will tell you. Amazing is how Dan Seal described him as he was introducing him to the BAHEP crowd at Lakewood Yacht Club. 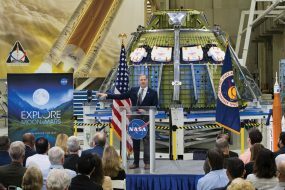 “He not only established Bush Intercontinental Airport, he redid Hobby and is turning Ellington Airport into a spaceport. Quite amazing,” the BAHEP executive director of special initiatives said. “Buckle up,” he told the luncheon crowd as he turned the program over to Diaz, who didn’t disappoint as he updated everyone, telling how the airport system has connected Houston with all six continents, as State Sen. Larry Taylor, and Mayors Johnny Isbell of Pasadena, Michel Bechtel of Morgan’s Point and Louis Rigby of La Porte nodded their approval. “It’s the only city in the South offering air flights to Cuba,” Diaz said, adding, “Soon the Houston Airport System will add guidance systems to its garages, making it easier for customers to find their cars after flights,” going on to talk about the Lone Star Museum being built at Ellington, the layers of security at the airports and adding that Hobby is one of three 4-Star Airports in the country and that the HAS wants to be a 5-Star System. 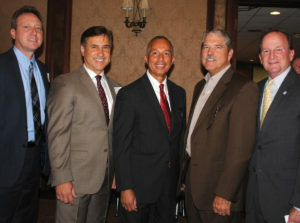 Houston Airport System Deputy Assistant Director Tim Joniec, Ellington Airport Director Arturo Machuca and Houston Airport System Director Mario Diaz, from left, join State Sen. Larry Taylor and Houston City Councilman Dave Martin at the Bay Area Houston Economic Partnership luncheon at Lakewood Yacht Club in Seabrook. Other officials in the crowd included Galveston County Commissioner Ken Clark, City Councilors Dave Martin of Houston, Geri Bentley of League City, Jeff Wagner, Pat Van Houte and Cary Bass of Pasadena and Mike Foreman and Carl Gustafson of Friendswood, San Jacinto College Trustee J.R. Moon, Harris County Tax Assessor Mike Sullivan, Port Commissioner John Kennedy and San Jacinto College Chancellor Dr. Brenda Hellyer. Plus, Texan Bank CEO Kenny Koncaba, Hilton Clear Lake Sales Director Melinda Mintz, HomeTown Bank VP Bill Provenzano, Wyle VP Genie Bopp, League City Chamber CEO Steve Patterson, MEI Technologies CEO David Cates, Shelmark Engineering owner Marcus Michna, SSCI President Helen Hodges and Space Center Houston President William Harris. Other familiar faces included those of Chris Reed, Brian Freedman, Gwen Griffin, Pat and Wendall Wilson, Paul Davis, Karen Coglianese, John Wilkins, Edie Houlden, Barbara Koslov, Corby Alexander, Dr. Bernie Milstein, Marcy Fryday, Joan McKinney, Kimberly Fleming, Mark Conrad and Sue Darcy. LUNAR RENDEZVOUS has a new royal court with Clear Creek High senior Madelyn Claire Emilia Chidester elected by this year’s princesses to reign as queen over the 2017 Festival. She is the daughter of Lisa and Steven Barnes and Edmund Chidester. Joining her in the 2017 court will be Queen Alternate Alexa Rae Trevino, a Clear Falls High senior and the daughter of Alice and Rey Trevino; and Captain Alexander Edward Struss, son of Delicia and Alex Struss and a Clear Lake High senior. 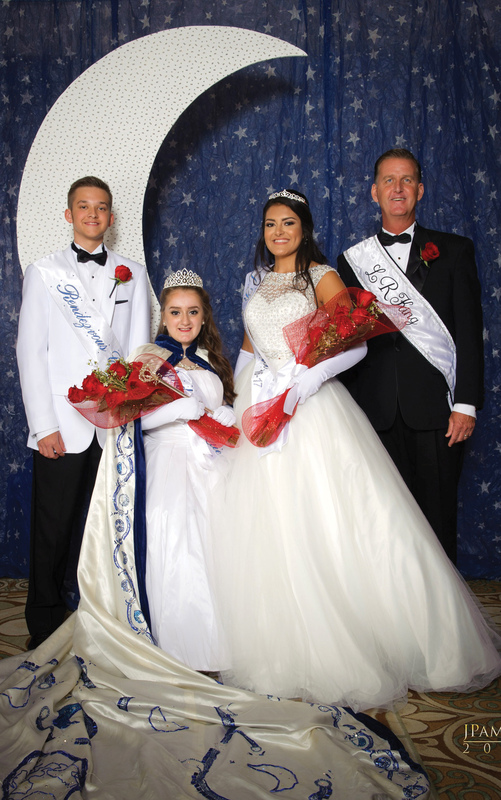 2016 Festival King Kevin Duke, Queen Mariska Mes, Queen Alternate Jessica-Michelle Monette and Captain Joey Corrao were all smiles as they welcomed them to the royal court during the festival finale, the Coronation Ball, which was held at the Galveston Island Convention Center and this year had a “Dance By the Light of the Moon” theme. Retired astronaut Bill McArthur was back once again to emcee the black tie gala, which was chaired by Justine Powell, with Cindy Sebald as her co-chairman. BALLET AFFICIONADOS will be out in force when the Bay Area Houston Ballet & Theatre kicks off its 2016-17 season Wednesday, Sept.14. In addition to offering a glimpse at the upcoming productions in Clear Lake, the dancers will be showing off their new digs — their new rehearsal studio located at 2350-D Dickinson Ave. in Dickinson. Then, they’ll give the crowd a glimpse at Dracula, which plays Oct. 14-16, and The Nutcracker, which plays the weekends of Dec. 2-4 and Dec. 9-11, both at the University of Houston-Clear Lake Bayou Theatre; and invite all to Breakfast With the Sugar Plum Fairy Nov. 21 at South Shore Harbour Resort. The season’s final production will be Pasion March 24-26 in their new rehearsal studio’s Black Box Theatre in Dickinson. For reservations, call the ballet, 281-480-1617. Casino Night/Deane Beck: Saturday, Sept.10 – Gilruth Center – Tickets $50. Cowboys & Cowgirls Who Cook/Randy Rance: Thursday, Oct. 20 – Admiral Ballroom/Endeavor Marina – Tickets $35. Fashion Show/Lisa Gurgos: Friday, Jan. 20 – Gilruth Center – Tickets $100. Black & White Masquerade Ball theme. Trail Ride Dinner Dance/Elizabeth Taylor: Tuesday Feb. 28, 6-10 p.m. Gilruth gym – $25. Bus Trip/Sunnie Byerly: March 2017 — $75 per ticket. Date is TBA. SAVE THE DATE of April 1, 2017. 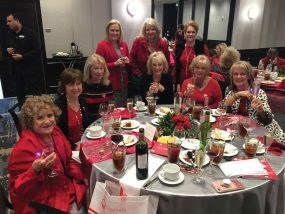 The Assistance League’s Ball of the Wild is back. And, in case you weren’t here or don’t remember, in its early days the League used the theme, Ball of the Wild, for its annual gala, and we all marveled as doctors dressed up as cavemen and bunny rabbits and aerospace executives and educators popped in as bumble bees. Pam Bungo is Jennie’s vice chairman and Gail Ashby, Belinda Scheurich and Lori Ray are already at work on the silent auction. 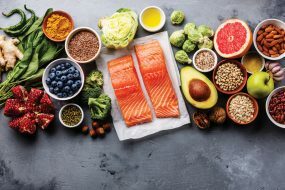 Other worker-bees include Carol Base, Ashley Campbell, Cindy Castille, Kathleen Courville, Dee Cover, Sharon Dillard, Anne Marie Doolin, Ann Hammond, Lisa Holbrook, Mavis Irvan, Katie Jones, Carol Latimer, Arlis Miles, Yvonne Perrin, Elaine Rister, Nancy Sanders, Jill Williams and Dee Wolfe. This year’s informal affair is an animal/jungle theme and attire will be casual. Stay tuned. THREE NEW TRUSTEES have joined the Clear Lake City Community Association, which also has elected new officers. New trustees are Marie Wade, representing Camino South; Mary “Lori” Alvarez, Oakbrook; and Stephenie Schneider, Oakbrook West. Annice Slade is president of the CLCCA with Terry Canup as vice president, Glenda Stroud, treasurer; and Leslie Eaton, secretary.